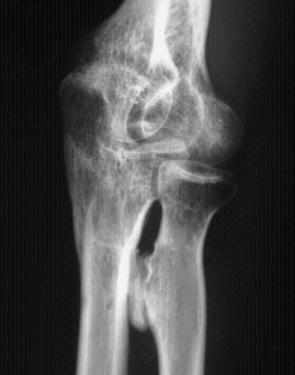 reserved for patients who have a proximal radioulnar synostosis that is too extensive to allow a safe resection, involves the articular surface, and is associated with an anatomic deformity. 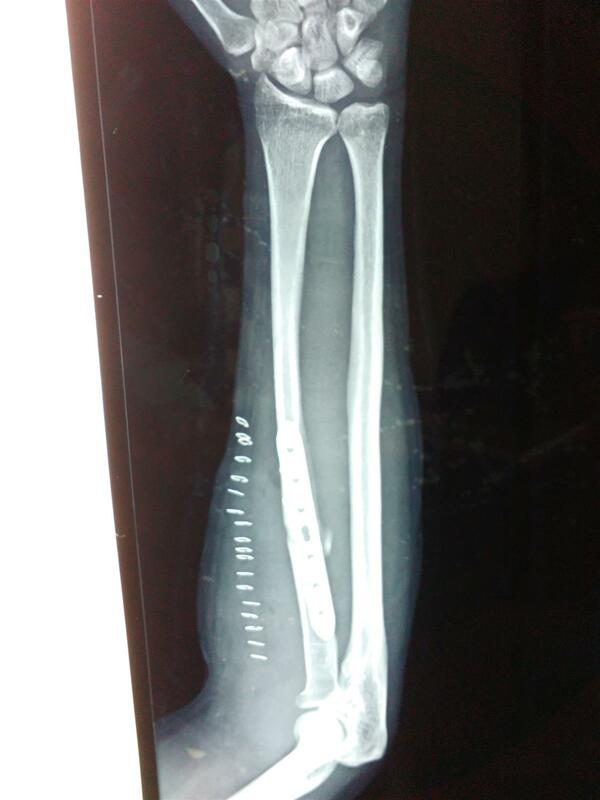 HPI - Sustained fracture ulna shaft right Oct 2014. 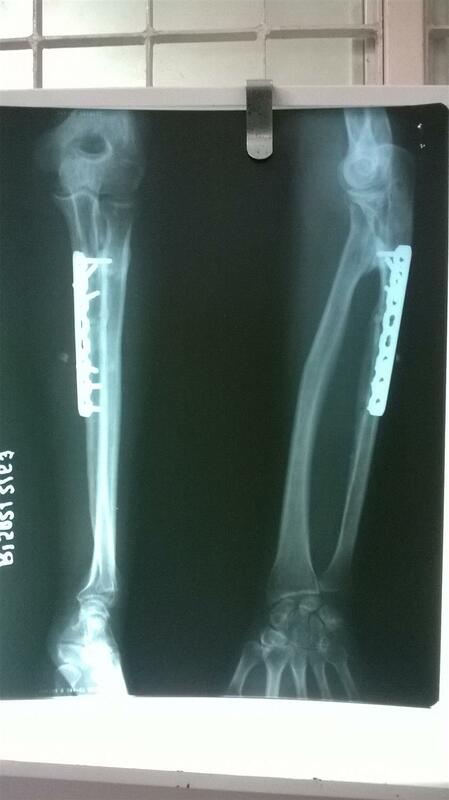 Optd at another center using a posterior approach with ORIG with Plating of ulna.